Payment plan: 3 payments. 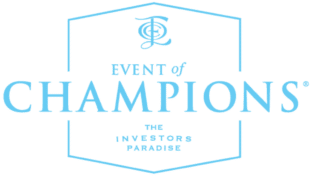 Upon being notified of your acceptance onto The Investors Paradise Retreat, Event of Champions Ltd (Camilita Nuttall) will work with you to create a payment plan. One payment is required to secure your place at The Investors Paradise Retreat. Two remaining payments are required before the 31st May 2018. Each payment will be the sum of: Single - US$2,750 or Couple - US$3,300. The total amount you will pay for The Investors Paradise is: Single - US$8,250 or Couple – US$9,900.